A really nice pouch/belt combination. Perfect for all those little accessories you need on the road. The five bags are lined and attached to the belt. They are closed by a button on the front. 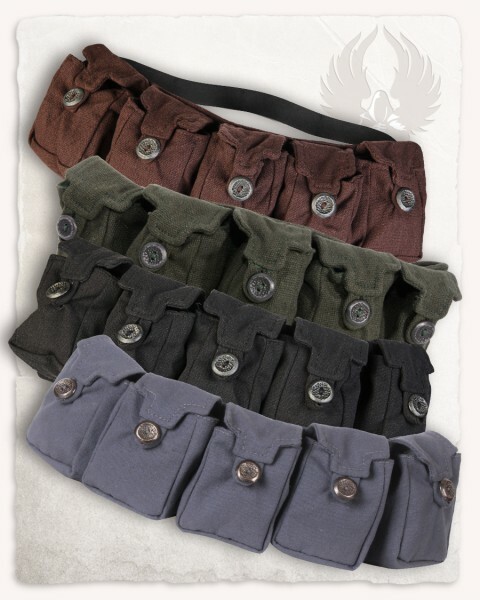 The belt is closed by two D-rings and can be turned around your hip the way you like to wear the pouches.